I will study the feasibility of the thing so as not to complicate the photo panel too much. Besides, I hesitated to put the option of the choice of look and feel in the preferences if it was possible. 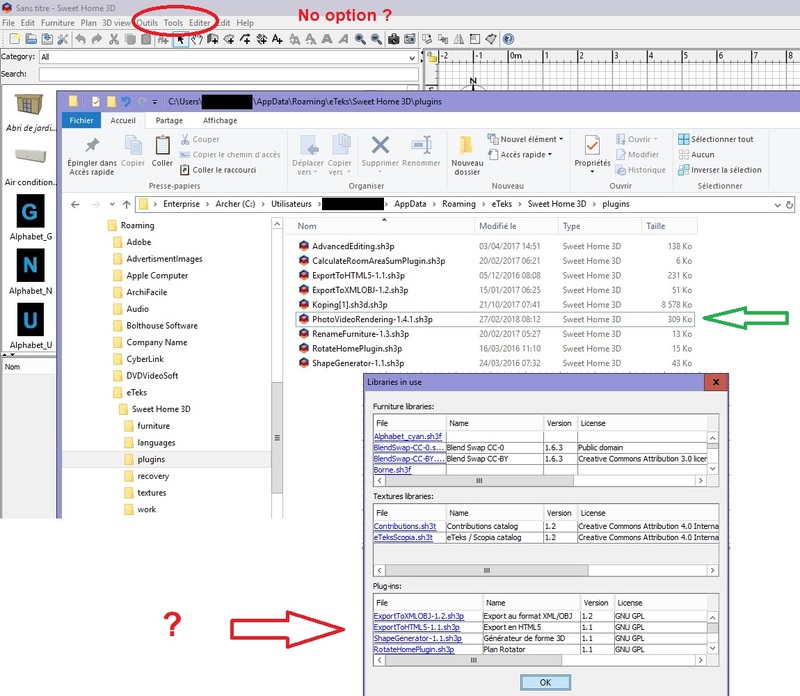 Maybe you could make the plugin-window resizable? - What about changing the Quality bar? we have only 4 options and it is huge, fast and best are taking a lot of space in addition to 1-2-3-4.... Maybe replace 1 and 4 with fast and best and keep 2 and 3 instead of replacing the whole component? The lookAndFeel (that I did not understand why having that option, but maybe I missed some thread) should be a non frequent option to change (it is less important than picture size or quality, so it could stay in a "secondary" frame like advanced options, why not? And, this is completely IMHO, I would put the elapsed time bar under the "Advanced settings / Enhance Brightness" line, just to separate what will change the resulting image and require a stop-create (over that line) and what is modifying in live the UI and the components shown (below the progress bar), like lookandfeel. Take this as some ideas from a developer that uses SH3D sometimes, and used a lot when planning a new home, so if you think is a stupid idea, feel free to tell it! What about changing the Quality bar? we have only 4 options and it is huge, fast and best are taking a lot of space in addition to 1-2-3-4.... Maybe replace 1 and 4 with fast and best and keep 2 and 3 instead of replacing the whole component? The goal of the plug-in is to stay visually close to the standard photo panel while providing new options. Personally, I occasionally use quality level 1 (3D view without shadow) and one of the higher quality levels (3 or 4) with the setting of SunFlow rendering engine. This option is not related to the rendering but I have integrated it in the photo panel in order to modify the appearance of the interface. The other solution is to use a script for the installer version as shown here with "-Dswing.defaultlaf=". This may be possible (see previous central image). 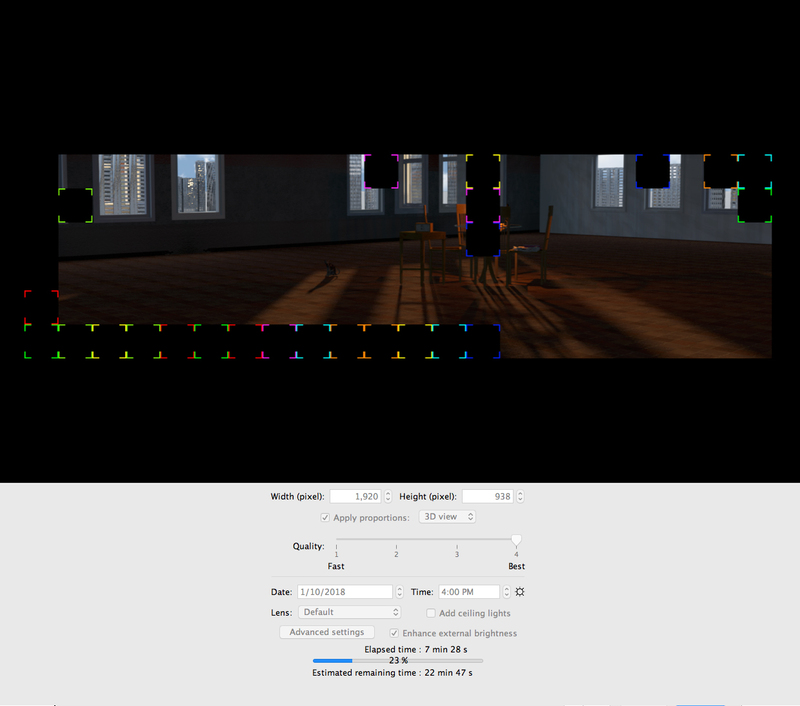 Now the next, ( and probably impossible) challenge is: Can the resizable photo renderer include a 3D preview? It would really "revolutionise" this program to have a combined preview- and render-window. Thanks to my beta testers Ceciliabr and hansmex for their feedback and to Emmanuel Puybaret for his advice! It's not my first installed plugin... but I got a problem.